Sunrise Senior Living is the ideal solution for seniors who value their independence, yet need some help with daily activities, such as bathing, dressing and medication reminders. We focus on individual wellness, and encourage continued independence with a tailored plan of assistance provided by well-trained team members available 24-hours a day. We stop at nothing to make your experience warm and inviting, from our homelike exterior architecture, to our comfortable community areas and choice of suites to our exceptional outdoor gardens and landscaping. Sunrise Senior Living's Alzheimer's & Memory Care Program is focused firmly on understanding each individual and providing care they respond to positively. 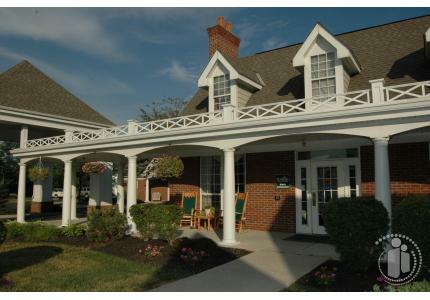 Designed to accommodate the unique needs of people with Alzheimer's disease and other memory impairments, our Reminiscence Neighborhoods provide a safe and stimulating environment for individuals to enjoy esteem-building activities. Our team is trained to value each senior and to recognize the different tastes, preferences and needs at each stage of their lives. Sunrise has created a care option that works - innovative and effective programs with multiple levels of support.